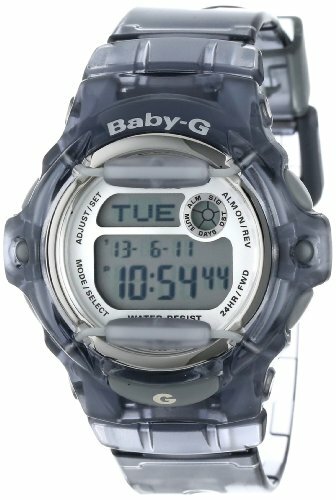 With a vivid, glossy finish and cool urban styling, the Casio Women's Baby-G Gray Whale Watch features performance functions and durable components that meet the lifestyle needs of the modern woman. Stylish rod accents stand out from the watch face, which is framed by the cool gray of the sturdy resin case. 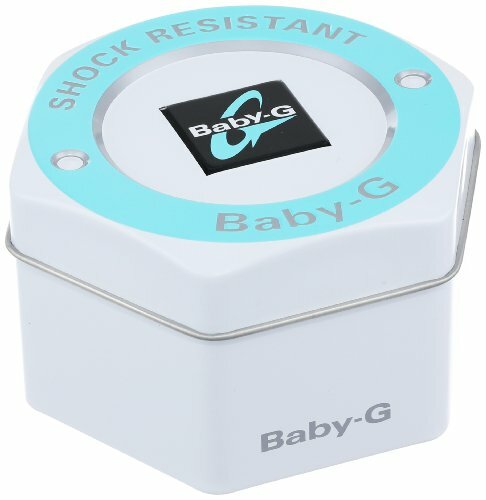 The strong and flexible resin band fastens with an adjustable buckle, and the digital dial offers World Time with 29 time zones, day and time countdown features, five alarms, stopwatch, 12- and 24-hour formats, and the handy capacity to memorize up to 25 sets of names and phone numbers. 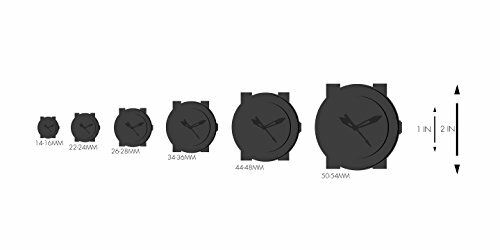 With a water resistant depth of 660 feet (200 meters), this timepiece is also shock resistant. Take this innovative watch with you for days at the pool or days on the run, where you'll always find a use for it.